A pink slip of paper the size of a postcard, fluttered out of the mailbox when Leanne opened the little door. She caught it in her hand before it made it too far and added it to the small stack of junk mail and greeting cards that had been with it. The artificial breeze from the air conditioning felt wonderful after the sticky heat outside, but it wanted to grab at the papers she was trying to hold on to. The lobby of their building was empty and being glad for it made her feel like a Grinch, but it meant that she could get into the elevator and up to their apartment without answering any questions about Gage. That quick trip in the mirrored box up nine floors was the only time she was able to relax these days and she'd really started to look forward to it. Inside her apartment, she dropped the cards and mail on the table next to the door and made sure her keys stayed on top of it all. Crossing to the phone, she dialed the apartment manager's number. "Hey Mr. Nomen, this is Leanne Pond. I got your note in my box - is now a good time?" She knew what he was going to say but she couldn't stop herself from asking. Good manners drilled into her as a child trumped exhaustion, or she would have just stopped by without checking while she was on the ground floor. "Ms. Pond! No prob, come on down! I got 'em waiting for you." The trip down to the lobby gave her a chance to check her phone for messages and sigh heavily when there were none. Mr. Nomen's door popped open as she crossed the lobby. She was never sure if he watched people through the Judas hole so he'd know when to do that, or if he just had the trip timed after close to thirty years on the job. "I've got 'em all right here, in bags so you can carry 'em easier. You headin' over now?" The lines on his face folded and refolded like origami when he spoke; Leanne always thought he should have one of those Shar Pei dogs so they'd match. Gage had laughed all the way to the apartment when she'd told him that in the elevator one day. "Yes. I had to work late so I'm a little behind tonight." The lines folded themselves into a sculpture of concern as the apartment manager handed her the three large bags pull of packages. "Ms. Pond, you take care of yourself now. Gage don't need you gettin' sick!" She forced herself to smile and wrapped her fingers around the bag handles. "I will, Mr. Nomen. Thanks for bagging these for me." With the bags in one hand and her keys in the other, she backed into the lobby before he could ask about Gage. Why do elevators have mirrors? she wondered as the car rose silently. Her reflection offered no answers, but it did give her the chance to inject some cheer into her expression before the doors opened. "Hey Leanne! Three bags today? Nice!" The nurse at the desk smiled and Leanne wished she could siphon off some of her energy. "Absolutely! It might as well be good for something other than gossip, stories about alien abduction, and political arguments. You need any help?" Leanne smiled and shook her head. "No, I've got it. Thanks!" Standing at the door halfway up the hall, she took a few deep breaths and gave herself a little pep talk about staying positive before she pushed the door open. A carol she couldn't quite identify played softly and sparkling lights covered everything that didn't move. A small tree on a bedside table glittered in the corner as it turned slowly. "Mom! I got to have eggnog today!" The bags were dropped on the foot of the bed, covering the Santa Claus blanket folded there, and she moved in to wrap her arms around the shoulders of the teenage boy grinning at her. "Eggnog? Where did they find eggnog in July?" He shrugged and held up a glass filled with creamy white and flecks of brown; the strong scent of nutmeg confirmed that it was real eggnog. The quick visual study was a habit she couldn't break, any more than her reflexive good manners. She took stock while she tasted the holiday drink. Hair that couldn't decide if it was brown or blond, in curls that any woman would kill for, deep brown eyes and thick eyelashes, and a finely chiseled face that leaned more toward pretty than handsome. Gage looked more like his father every day, and that broke her heart a little. The thought of her ex-husband made her want to check her phone again, but she didn't want Gage to ask about him, and if he saw her look he would. "You ready to open the presents?" she asked, acknowledging that she was hoping to distract herself as much as her son. "I got more? Is that what's in the bag?" He reached past her for the first bag. "Nah, the bags are underwear. I figured you needed some new pairs." His laugh filled the room and he shook his head. "You wouldn't do that to me, you love me too much!" She slid her hand through the soft curls of his hair and pulled him forward to kiss his cheek. "You know me entirely too well, munchkin." His hand swiped over the spot she'd kissed and he put the palm of his hand on her forehead to push her away. "Geez Mom, watch the PDA!" Leanne settled back in the chair next to her son's bed to watch him sort through the boxes she'd brought. Each box was carefully inspected to see where it had come from - it occurred to her that he enjoyed seeing the different cities, states, even countries, even more than what the boxes contained. Gage wasn't going to make it to Christmas and he knew it, The doctors and nurses didn't like to hear that sort of thing - keep it positive, was their mantra. She was a realist, and she'd raised her son the same way whether she liked it or not. He wasn't willing to ignore the reality of his disease so neither would she, but he was determined to make something positive happen. He'd wanted to celebrate Christmas early and she'd made that happen. His idea to make Christmas happen early for all the other kids was an impulse she'd happily encouraged. Anything to distract the both of them was a good idea, as far as she was concerned. Gage's post on Facebook asking for toys had gone viral. 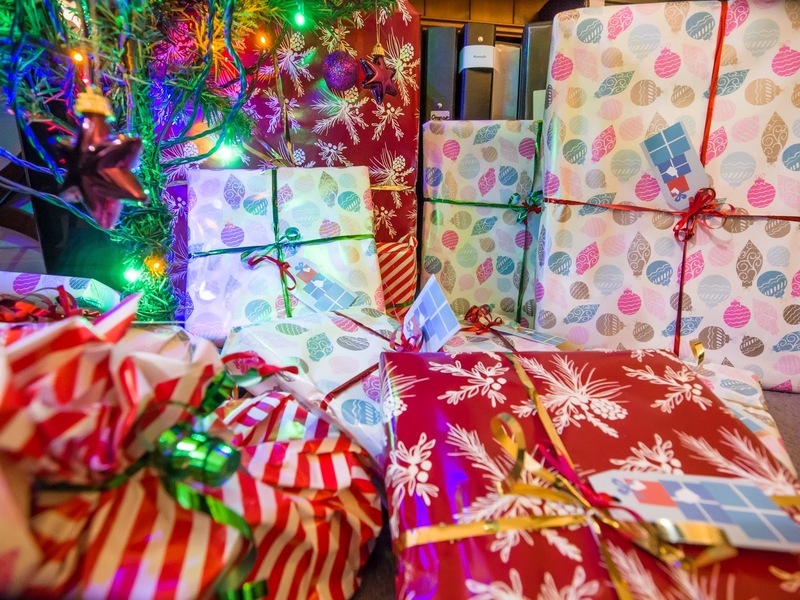 What she'd brought with her was just the tip of the iceberg - most of the packages were sent directly to the hospital, and her son wrapped those during the day. The ones that came to their apartment they did together. Each box was opened and what was inside and studied closely before sorting it into the piles on his bed. Dolls, teddy bears, electronic games with extra batteries, and everything in between joined the designated pile. They chatted about her day and then about his day while he sorted, and she carefully put the emptied boxes back in the bags. When she was back home she'd record the names and addresses of the senders for the thank-you notes her sister sent out for her. Soon enough the boxes were tucked away and the bed was covered in colorful toys. "Time to wrap this up!" He laughed every time she said it, which was why she kept saying it. A bedside table was pulled over and a plastic tub of wrapping paper and bows came out from the small closet. Leanne had to admit that Gage was far better at wrapping than she was, so her job was to stick the label with the age the toy was appropriate for on the bottom. The wrapped toys went onto a cart by the door. Too quickly the bed was empty of toys, the cart piled high with colorful packages, and the plastic tub of supplies put back where it belonged. "You sleep tight, baby boy." She leaned in and held his face between her hands, giving him a smacking kiss on the forehead before he could squirm away. "My baby!" The ritual made them both smile as she pushed the cart out into the hallway. Her heart felt lighter when she got to the desk; it always did after their wrapping sessions. "Lots of packages today, Emily," she told the nurse. The nurse came around the desk and pushed the cart the rest of the way into the room behind it. "They look amazing, Leanne. Gage does such a good job with the wrapping. You should see my presents - half of them come open on their own!" She laughed and nodded. "Mine are just as bad. I think he learned how to wrap presents just so the Christmas tree wouldn't look so sad!" "Well, I can tell you the kids really get a kick out of this. Gage is a great kid, to think of this." Leanne looked down and busied herself with her purse until she was sure the tears that wanted to fall were under control. "It was his idea to put it on Facebook. I never thought it would be this successful, though. Well, I've got to get home, I'll see you tomorrow night!" She was humming, "We Wish You A Merry Christmas" as she got on the elevator. The woman she joined raised her eyebrows and laughed. "It's only June - a little early for Christmas, don't you think?" "It's never too early for Christmas!" What says Christmas to you? The presents? The food? The smell of a pine tree in your living room? If you had to capture Christmas one last time, what would you absolutely HAVE to have? Comment below!